The Governor says LIPA has been eliminated and the new electric utility will be privatized. Governor Cuomo and Senate Co-Majority Leaders Dean Skelos and Jeff Klein, along with Assembly Speaker Sheldon Silver, agreed on legislation to completely renew the electric utility situation on Long Island. This new legislation essentially puts an end to LIPA and rates for the new utility will be frozen from 2013, 2014, and 2015. "Today’s agreement will finally end LIPA as we know it and create a new utility company on Long Island that puts ratepayers first," Governor Cuomo said. "For years, LIPA has provided lackluster service while asking ratepayers to foot the bill for its financial problems. 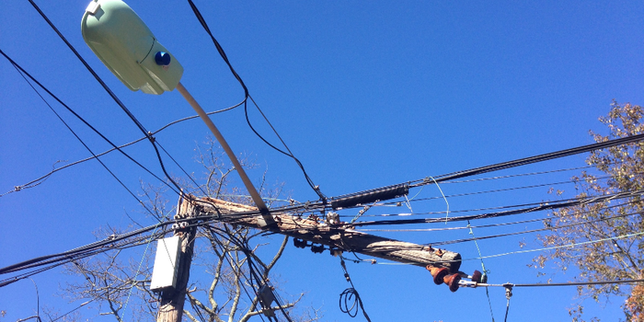 LIPA’s failure during Superstorm Sandy was a wakeup call for action. This legislation delivers on performance by privatizing utility operations under PSEG Long Island to ensure it is ready for future storms and accountable for its response. It also establishes real state oversight of Long Island’s utility system for the first time and protects ratepayers from rate hikes in the immediate future." Klein is behind this change following LIPA’s slow response in the aftermath of Hurricane Sandy. "Long Island residents work too hard--and pay too much in their monthly utilities bills--to have anything less than a top flight utility provider.” The Senate Co-Majority Leader says. "I commend the Governor, his staff, and my legislative colleagues for developing a plan that will finally provide Long Island ratepayers with the service and oversight that they deserve." Since the 1990’s LIPA has not decreased ratepayer’s bills. The new legislation will reduce the cost of LIPA’s debt by refinancing half of the $6.7 billion debt at a lower interest rate, and a 2% annual property tax cap will be put in place for the transmission and distribution system. The legislation also eliminates state gross receipts tax which saves ratepayers $26 million a year. The Governor’s office also reached an agreement between National Grid and PSEG so there’s hundreds more workers on hand to help after storms like Sandy and Irene. With the new agreement, the National Grid brings a newly trained IBEW gas utility which will not only perform storm response tasks for the electric system but they’ll also help out with damage assessment and restoration work. Subject: LongIsland.com - Your Name sent you Article details of "LIPA Eliminated: Long Island Utilities to Be Privatized, Rates Frozen, Says Governor Cuomo"